I do many things I did when I was a kid. I just never believed in giving up the things you love. The one thing that I may love most is cycling. Not only is it the one form of exercise I don’t dislike, it connects me with my childhood… in more than one way. 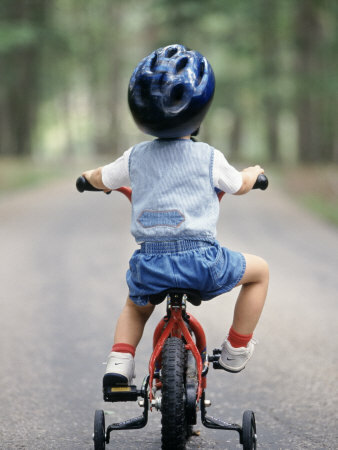 For me learning to ride was an arduous task. I would lean up against the house and gently push myself off to get rolling. I remember doing this over and over and over. I didn’t get it until I was 10 years old. But once I got it… I was gone! I can remember going out with my friends and feeling completely free. We’d be out all day and come back tired and smiling. The bicycle also provided me with my first problem solving experience. My father did not like fixing bicycles… I’m putting that lightly. I began to tinker on my own and was soon doing upgrades and repairs. I realized that if I could take it apart and lay the parts in front of me, I could fix it. (Unlike a car that has too many parts!) To this day, if I can take anything apart and lay the parts in front of me… I can fix it. I still tinker with bicycles, my basement looks like a bike shop… and I love it. I try to ride as much as I can and sometimes I commute to work. On the weekends I head out towards City Island in the Bronx and revel in the freedom and peace the rides give me. I still think of pushing off the side of the house all those ago on my old red Schwinn. Next Scandal… a follow up. I like best when you create blogs about you and your own thoughts.